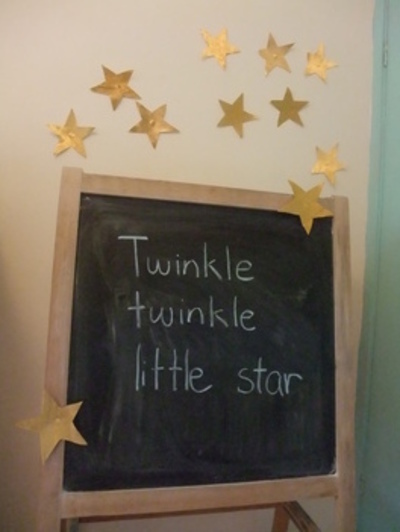 Decorate your kids room with twinkle stars. 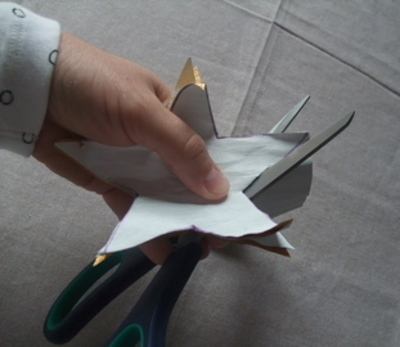 They're quick and easy to make. 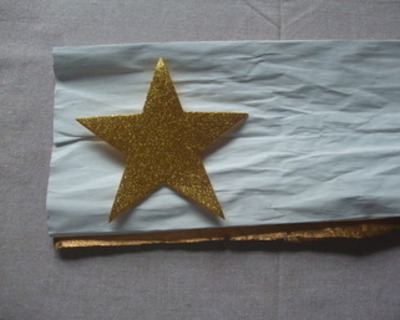 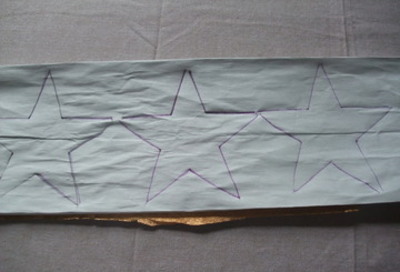 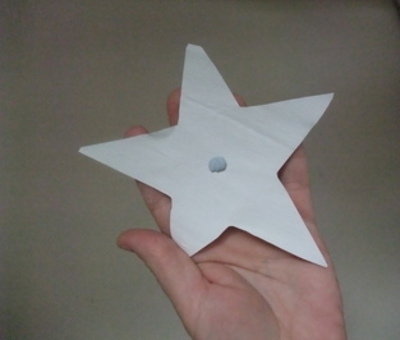 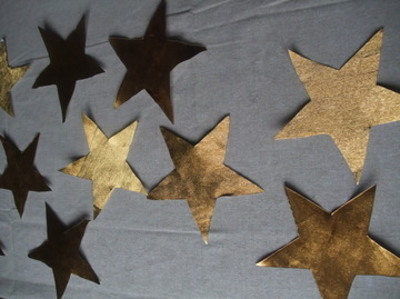 Fold over your gold or silver crepe paper and trace out stars.